Creme, Godley and Stewart had all been members of Manchester's beat scene. Creme's first group was The Sabres, Godley started out in Jerry Lee and The Staggerlees and was later in The Mockingbirds, which had been formed by Graham Gouldman in 1965. Gouldman was also a talented songwriter who wrote several hits for other artists and made several attempts at a solo career. Stewart first came to light in Wayne Fontana and The Mindbenders. When The Mindbenders broke away from Fontana Stewart stayed with them but when they finally split, Stewart and Gouldman bought a recording studio in Manchester. Godley and Creme, meanwhile, released a 45, I'm Beside Myself, under the pseudonym Frabjoy and Runcible Spoon, on which Stewart and Gouldman played as session musicians. 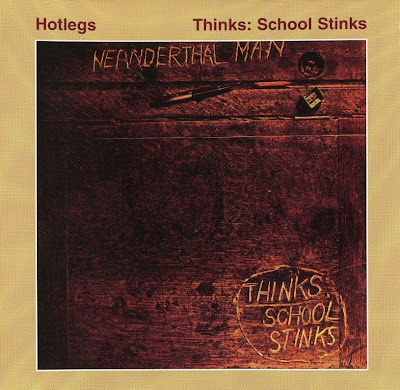 Having done songwriting for the US Kasenetz-Katz production team, the group re-equipped their Manchester studio (now called Strawberry Studios) and wrote and recorded Neanderthal Man, a song with an extremely distinctive heavy rhythmic backing, which was released as a 45 under the name Hotlegs and became a massive worldwide hit, selling over two million copies. It peaked at No 22 in the US, but climbed to No 2 here in the UK. Subsequent recordings under this name failed but, as most of you know, a couple of years later the same personnel became 10cc.